Daiwa Kiyose 62M rod - Keiryu fishing rod Japan | All Fishing Buy. 20ft Daiwa mountain stream fishing rod KIYOSE 62M telescopic 7:3 action sensitive flexible made of 97% HVF carbon. Brand new 6.19 meters small mountain stream joint pole rod that combines the simple and necessary feature, extra light weight 167g, compact, collapsed to 53.6cm, easy to carry, provides superior portability. 13 telescopic sections easily extend from 1.8ft to 20.6ft, multi-function model length with 2 levels: 62 <=> 57, in 50cm multi-length one section. The rod is made of a 97% unidirectional high contrast High-density HVF carbon fiber combines 3% precise resin control, achieves a significant weight reduction in both strength and lightness, manufactured by Daiwa, using Daiwa's design, engineering and technology. The features include: Ring prevent sticking to minimize an adjustable length of two sticking and multi section 1 in one of the specifications of the feelings that does not compromise on features that are necessary even in a simple charm. Responsive to a solid carbon tip and light and strength to achieve the high density HVF carbon easy-to-use to tune 7:3 action great mountain stream fishing rod. Daiwa standard model equipped with the length of the two way adjustable multi-length with the succeeding to the small mountain stream fishing rods with excellent operability. It has great sensitivity and super fine stroke which together with soft tip sections and solid tip allow you to get a very delicate presentation even when casting a light line. This pretty stiff rod has great amount of power in reserve and powerful bottom sections with great strength, which easy allows you to handle larger fish. This light, strong and most sensitive rod is ideal for fishing Largemouth Bass, Smallmouth Bass, Rainbow Trout, Crucian Carp, Pike, Crappie, Bluegill, species from Perch family, including Yellow Perch, and Sunfish family, Snapper (Baby Bluefish) and many other fresh-water and marine game species. Pretty wide grip with effect non-skid coating. Soft cotton pole bag and plastic case. Last section has strong braid Lillian string connected to the tip. This pole rod allows you to place your bait exactly where you want it, as quietly as possible. It allows to get you deep into the brush where large fish hide, to get live baits, flies or spoons in hard to reach places where reel rod can't. It will increase your comfort and allows you for hours of fishing without arm fatigue, to be able to concentrate baits in very small areas of water and be able to fish outside, over or above of your feed area with the utmost accuracy. This rod has high level of sensitivity and decent level of power with the rod's extra-sensitive tip, which allows you to feel even the smallest bites. Very compact pole, 11 telescopic sections easy collapsed to 54cm. Multi-function length allows you easily change the length without putting it apart or changing the poles with one section easy extends. The standard equipment to prevent sticking trouble "anti-stick ring". Structures subjected while changing the number and width according to the thickness of the section groove to make an air layer of the junction between the sections (ring) cutting machining. Most drawer for inserting and removing the pole section is performed frequently, eliminating the trouble of most annoying fixation. Cause of the fixation arise from that part of the seam section and sections have a vacuum spots at the joints where two sections overlap each other when the rod curve. DAIWA made it possible to create a structure while changing the number by the thickness of the section width and the cutting of (ring) groove joints make an air layer at the end of each section to prevent sticking. 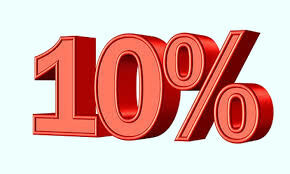 Significantly reduce the probability of fixation. In carbon sheet that affect most rod performance, high elasticity of the carbon fiber itself, focused on the amount resin adhesive you put together the carbon fiber. Increased the density of carbon fiber instead by reducing the amount of resin put a tight carbon fiber that minute, achieve more muscular and powerful rod with lighter weight and feature a faster action. It is the best material to pole with an emphasis on strength and tenacity. Widely used, such as rocky rod with an emphasis on strength and stickiness. Excellent to bite, equipped with a (Saki? 0.7mm) carbon solid tip section which makes it almost unbreakable, involving 1.5 times higher strength. Conventional full carbon fiber tips feature an imbalanced distribution of the single fibers within the material, which causes high risk of breakage. The carbon fibers are uniformly dispersed, showing a similar bend in any direction by 360 degrees with little variation. Uniform solid carbon fiber tends to be the strong part and weak parts with a strong bent differently depending on the direction they are pulled. In addition, there is no smooth curve bends. Multi-function model with two way adjustable length levels: 62 and 57, in 50cm multi-length one section allows you easily change the length without putting it apart or changing the poles with one section easy extends. Multi-model utilizing the advantage of multi-length collapsible model, can correspond to the width of the river and various points. It can also shorten multi as well as full-length adjustment in a very simple way, the intent and active swim bait to move to the side and a longer hand possible to direct a manner when you shed a passage destination, and use it aggressive to capture big game. Compact hard top cover, pole bag. Compact hard top cover great protection of top sections when rod is collapsed, Need to remove it when extending the rod. Soft cotton pole bag for storage and travel, to protect from scratches and damages. Pole fishing is one of the most efficient and effective methods of catching almost any fish swimming in your local waters, canals, small still-water or commercial fisheries, ponds, lakes, mountain streams or rivers, from pear or off shore. You can land big fish, including carp and the advantages in skilful bait presentation are outstanding. The advent of the pole is to allow us to fish of the far side hiding places, to place your baits exactly where you want it, as quietly as possible. Length allows to get you deep into the brush where large fish hide. It allows to get the live baits or spoons in hard to reach places where reel rod can't. Very light weight allows you for hours of fishing without arm fatigue, to be able to concentrate ground baits in very small areas of water and be able to fish outside, over or above of your feed area with the utmost accuracy. Pole fishing is an art form. You can't even imagine the fun you got when gently move the pole against the fish to strike, ship the line to you, swing the fish to hand, unhook, re-bait and place pole back in the water ready for the next fish. They can be used for small Silver fish, or for the hard fighting Carp. Poles allow you to fish with a great level of precision and sensitivity. Just once you try pole fishing, you'll ask yourself why it wasn't sooner. The most credit for spectacularly growing popularity of pole rod fishing must be given to the tackle manufacturers who continue to produce cheaper, stronger, lighter poles, rods each season. Best quality refers to Japanese design, engineering and technology, Japanese equipment and materials are still the best in the world by far. This rod has been designed and produced by DAIWA SEIKO INC., in the very efficient Daiwa factory in China from Daiwa Carbon, using latest Daiwa's technology. The technological expertise of the Daiwa engineers gives the company world-class resources to produce a high-quality product. Daiwa is the No. 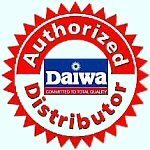 1 rod manufacturer in the World makes sure that its extremely high quality standards, "Daiwa quality", are observed regardless of where the product is manufactured.